The word is out. Not fully or easily understood yet by the average internet user or even by the more experienced of users, “Blockchain” is promising to be as impactful on those disciplines that veraciously do business on the internet as the original world wide web was on them just a few decades ago. Though not fully implemented, Blockchain technology threatens to eliminate the need for the traditional, centralized digital advertising distribution models and significantly improve the security of online information. It has the potential to give consumers complete control over their personal data. A decentralized data management and storage environment, blockchain technology promises to impact and disrupt current digital advertising giants like Facebook and Google. Forrester has predicted that digital marketing expenditures in the United States will reach $120 billion by 2021. Any alteration in the current progression of those billions of advertising dollars flowing through middlemen like Google and Facebook has the digital marketing industry abuzz. The emerging blockchain technology uses a network of servers to transparently and independently verify the accuracy of user data, enabling consumers to feel confident that their data is accurate and factual and not being manipulated. Companies will be able to use blockchain to show consumers whom they are selling data to and assure them that information will not be tampered with. A major point of contention for marketers has long been the apparent lack of transparency and accountability in being able to verify digital ad spend. Recent reports indicate that as much as 56% of all display ad dollars were lost to fraudulent inventory in 2016. The cost of ad fraud globally is expected to increase to $50 billion over the next decade. With a reported 79% of advertisers expressing concerns about the lack of visibility, many major brands are restricting their digital advertising budgets. Blockchain provides actual verification that sustainable, ethical, and responsible practices are being used and can make data-driven marketing more transparent by confirming that a targeted consumer actually viewed the advertisement, leading to a more precise digital attribution. Consumers are being overwhelmed with too many ads, emails, coupons, and messages. This current “more mud against the wall approach” indicates marketers don’t have a single view about consumers that promotes cross-platform continuity. Studies have shown that between four and six ad exposures have the optimal impact on consumers’ propensity to buy. Blockchain can correct overexposure by providing an enhanced level of tracking and transparency that is not currently available through traditional digital advertising chains. Universal adoption of blockchain technology is still a relatively long way from reality, but marketers should start digesting the wealth of information on the technology’s benefits and limitations. Digital advertisers should familiarize themselves with those companies who are pioneering the blockchain technology. Adoption of blockchain will be crucial to the development of future digital marketing strategies and embracing this new opportunity sooner rather than later will provide savvy marketers a head start in the next wave of innovation that promises to take the world of marketing to new heights. “The old adage that content is king has gone by the wayside, because everything is content,” said Daniel K. Lobring, vice president of marketing communications at rEvolution. “Competition for mindshare means that brands and others who deploy content marketing have to be smarter.” The days of pulling in consumers with mindless product platitudes may be over. Content marketing is revolutionizing the way brands are connecting with customers through two-way conversations in social media channels. As the conversations unfold, consumers are questioning the validity and authenticity of the messages. Technology is creating an audience that is experienced and increasingly tech savvy, smarter and much more likely to challenge the honesty of the message. They are beginning to judge brands solely on the authenticity of their content. Content marketing got its start to dominance as traditional advertising began to lose favor with consumers. Over saturation of feature and benefits messaging and the unabridged proliferation of pitch and persuade advertising produced increasingly exhausted consumers. They were skeptical and tuning out in record numbers. An emerging digital revolution is providing an opportunity for marketers to reach infinite numbers of potential customers more easily, quickly and economically than ever before. A recent survey reveals that 84 percent of customers prefer and trust online reviews of personal influencers when making a purchase decision. As the popularity of content grows, its continued success is becoming dependent upon it not falling victim to the same pitfalls manifested upon traditional advertising. Content marketing is approaching a point of oversaturation as advertisers pursue a policy of more is more by sacrificing quality of message to quantity of messaging. Consumer experience and understanding of content marketing tactics is leading to a lack of trust and eroding confidence in brands. Those companies that fail to make authenticity the cornerstone of their content offerings risk serious, long-term damage to the brand’s reputation. The recent crisis for Facebook in the aftermath of the Cambridge Analytica revelation is reigniting a troubling issue among users and advertisers of a vast array of social media outlets. Already experiencing a decline in trust from consumers, marketers are beginning to hesitate implementing expanded social media campaigns. For Facebook, the current debacle promises to increase the numbers of users who are fleeing the media giant. According to a Reuters/Ipsos poll, well under half of Americans (41%) now trust Facebook to obey U.S. privacy laws and adequately protect personal data from misuse. Facing possible monetary penalties and new government regulations over the data misuse, perhaps the most damaging outcome of the affair between social media outlets and personal data abuses is the response the relationship has spawned among some very large advertisers. Distrust of social media is the most prevalent among millennials, the largest segment of the consumer spectrum. The trend to distrust is shared across the landscape of media outlets and may suggest that the bloom of the social media industry is fading as advertisers and users appear to be tiring of the proliferation of fake news and the questionable accuracy of published information in general. In response to this erosion of confidence, marketers must refocus attention to a strategy of attracting and protecting consumer confidence by insisting on an elevated standard of media accountability. Emphasis should be placed on the quality of the messaging and less on the quantity of the messages spread across and in concert with multiple marketing channels. Consumer trust and confidence in the brand must be an important element of the campaign’s measurement of success. Such confidence and trust must be earned, not purchased. “Research by professors Joseph Turow, Michael Hennessy and Nora Draper found that marketers were incorrect in assuming that a majority of Americans give out information about themselves as a trade-off for benefits they receive.” Only 21 percent of respondents agreed that getting discounts, free services or better services for collecting online information is a fair trade-off. Users may have glossed over social media platforms’ privacy policies in the past but never more. A recent Deloitte study found 93 percent of consumers believe they should be able to request that a company permanently delete their personal data. Marketers cannot afford to lose the trust of consumers. It’s hard enough to capture the attention of consumers. Implementing measures that account for the protection of data and financial information is critical to evolving your business. On May 25, 2018, a significant new set of regulations go into effect across Europe and around the world that will greatly impact virtually any business that has an internet presence. The time for compliance is approaching very quickly but 60 percent of all businesses affected are not ready to be in compliance. This number is concerning given that violations of new regulations carry huge fines that could cripple businesses of all sizes. The General Data Protection Regulation (GDPR) was initiated to give consumers in Europe greater control over their personal data. GDPR impacts any business that has customers located within Europe and affects all businesses regardless of physical location, company size, or scope of business. While the emphasis first appears to be on European organizations, the regulations apply to businesses anywhere in the world that process the personal data of European Union (EU) residents. In today’s vast global internet world without borders, those not affected make up a very short list. Article 3 of the GDPR says that if your organization collects personal data or behavioral information from someone in an EU country, your company is subject to the requirements of the GDPR. Businesses will need to be much clearer about the information they hold on people and give them more control over how it disseminated and managed. Compliance is likely to be easier for heavily-regulated business-to-business sectors such as banking and insurance, but retailers and companies that deal directly with consumers need to be particularly aware of the new regulatory environment. U.S. based hospitality, travel, software services and e-commerce companies will certainly have to consider their online marketing practices and determine the risk of non-compliance as well as any other U.S. companies that have identified a market in an EU country. GDPR requires organizations to identify a security strategy and adopt adequate administrative and technical measures to protect EU citizens’ personal data. Given the existing costs associated with irresponsible handling of consumer’s personal data, few organizations can afford complacency about cybersecurity. 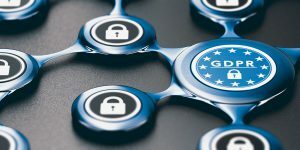 While the heavy fines for non-compliance to GDPR compounds the penalties for cybersecurity ignorance, the new regulations offer an additional incentive and opportunity for companies to implement policies that may help them avoid a future data breach and the significant calamity to normal business operations that results. The knowledge that women wield the most influence over the household spending decisions is nothing new. For decades women have been credited with controlling the purse strings at a greater degree than their male counterparts. But as traditional societal male/female roles continue to evolve, the only difference for marketers is the realization that the numbers are getting bigger. Across the globe, women are controlling nearly $20 trillion in annual consumer spending. That number is likely to grow to $28 trillion in the next five years. Women represent a growth market bigger than China and India combined; verification that female consumers now drive the world’s economy. Over the next decade women will control two-thirds of all consumer wealth in the United States and be the beneficiaries of the largest transference of wealth in our country’s history. Today more than 79 percent of women self-identify as the primary household shopper, making 70 percent of all the travel decisions and 90 percent of all the healthcare purchases. Nearly 60 percent frequent social networking sites and are the most likely consumers to use digital purchasing tools. The overwhelming majority (92 percent) pass along information about deals they have experienced online. Talk about influencer marketing! Commanding as this economic segment is, most companies continue to struggle to effectively tap into the potential opportunity, and despite the remarkable strides women have made in market power and social position they continue to feel undervalued in the marketplace. “Success in reaching this powerful demographic often lives or dies in the marketing execution, and getting it wrong can be serious business. Mistakes and gaffes can go public, or viral, all too easily, alienating the very people a campaign was designed to attract.” David Levithan, says “Pink is female – but why? Are girls any more pink than boys? Are boys any more blue than girls? It’s something that has been sold to us, mostly so other things can be sold to us.” If there was ever a time where simply using pink to attract the attention of women was a viable strategy, that time has passed. Gender is often a blind spot, both within company campaigns and within the make-up of company marketing teams. The old adage, it takes one to know one is sage advice. Gender diversify your marketing team if you want to make a meaningful connection with your target audience. If not, your approach to attracting female consumers may come off as patronizing and passive. Remember, no one-gender market sector does a complete marketing segment make. Women now occupy, in significant numbers, every social and economic level of society. Today women are embracing the differences in their identities and exploring more progressive interests. Marketers need to identify products and services that answer the multitude of female consumer needs and interest if they are to successfully develop a winning marketing strategy. The messaging needs to align in content and tone with the diversity of the market segment. For information on how Junction Creative Solutions (Junction) can help you formulate a winning women’s market strategy, contact our experts at 678.686.1125. Say email marketing or monthly newsletter and some descriptive phases, many not admiring, come to mind. Digital marketing has revolutionized communications both personal and commercial, delivering marketers the ability to directly reach into the lives of millions of potential customers and clients with mind-blowing speed and automated targeted placement. Suddenly broadcasting a message right into a recipient’s home or place of business through email windows is remarkably simple. But many are complaining that the overt email assault that permeates millions of in-boxes each day are leading this new marketing tool down the path once traveled by direct mail (junk) and robotic telemarketing. With so many emailers opting to click “delete” or relegating unsolicited messages to the spam file, what is all the upside appeal of email marketing? In 2017, the total number of business and consumer emails sent and received per day reached 269 billion and is expected to continue to grow at an average annual rate of 4.4% over the next four years, reaching 319.6 billion by the end of 2021. With that kind of audience, email marketing spend in the United States is predicted to reach $3.07 billion by 2019. 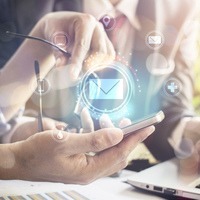 Businesses looking for cost effective, measurable ways to connect with consumers have discovered the positive return on investment (ROI) of email marketing campaigns, of 122 percent, irresistible. This impressive ROI is utopian until one realizes that only 24.7 percent of all emails across industries are opened by the recipient. Nearly two-thirds of emails are banished to unread status right after being sent. Still, the promise of making a connection with so many with so little effort is too good to pass up. So how can an email campaign successfully open a profitable dialog with consumers without the costly and inefficient “mud against the wall” approach? As more emails invade customers’ inboxes, the quality and format of the message is critical in order to be heard above all the competing noise. Focus the effort on the campaign objective and tailor the message, both in content and structure, to gain the immediate interest of your consumer. What’s in it for consumers if they choose to open an email and start a conversation? Compose your prose in a manner that creates value to the prospect. With 68% of email recipients reporting that they identify most email as spam, getting the subject line wrong can be deadly. Opening statements should elicit interest and evoke curiosity. Provocative “the aliens have landed” remarks will only scare qualified receivers off. “Every aspect of testing should be focusing on the “click to open rate” of the main call to action in your email,” says professional email marketing strategist Dain Hanson, Co-Founder of CYT Marketing. Ever receive a message from a department, department title or mega-company? The “from” line of any email should be from a warm and real person, someone who is personable and welcomed. Your salutation should share your personal side, not your corporate image. A Campaign Monitor study recently revealed that 62% of customers open emails due to a personalized subject line. The most successful emails are clearly written, attract attention to the message purpose, are never dull or offensive, and are personal and designed to solicit an immediate action. Interesting graphics are very effective and all content must be viewable on desktop and mobile devices. Depending on the targeted audience, mobile email will account for 20 to 75% of email opens. Email marketing should be about having a conversation with your ideal customer. Failing to edit your master email list to target specific customers with a tailored message will only serve to annoy disinterested customers and waste valuable marketing time and assets. Treating every prospect the same will only result in filling their “Trash Bins”. The smart campaign will have different lists which focus on the varied messages of interests to a variety of customers. Connecting with an interested target market will improve your email “open rates” and produce future, mutually beneficial conversations. For information on how Junction Creative Solutions (Junction) can enhance your email campaign efforts, call 678.686.1125. The concern of marketers about the effectiveness and real value of all the money and energy spent on advertising has been going on for centuries. The earliest of purveyors of commerce wrung their hands over what portion of advertising spend was being unheard. 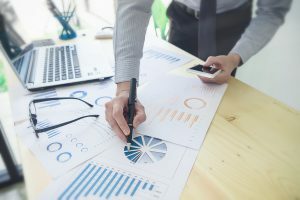 Little in the way of easy and accurate measurement existed and the most predominate metrics were based on speculation that advertising effectiveness was clearly tied to business outcomes. With new advances in technology and the myriad of burgeoning marketing channels, the warm fuzzy feeling that advertising is working and producing a return on our investment remains elusive. Studies indicate that 46 percent of business to business (B2B) marketers are unsure that any social media channels are producing positive impacts on the bottom line. An answer to the question is critical given that 2017 was the first year that digital marketing outpaced TV ad spend. Today’s technology allows for easy identity of marketing efforts right down to the individual consumer. We can customize our message and aim it at a specific individual or small market segment and measure accurately the message’s operational impact utilizing the same intelligent, extremely cost effective digital techniques. So why do 60% of marketers see ‘measuring ROI’ and linking social media activities to business outcomes as one of the top three social media marketing challenges in the coming year? The reason may be simple rather than complex. Like everything else, it boils down to strategy. What are your key performance indicators (KPIs)? Is it revenue, promoting brand awareness, website visitation, number of followers, customer service metrics or direct sales to efforts? The most difficult aspect of calculating social media ROI may be that there is no common denominator to measuring dollar value. With 70% of the U.S. population having a profile on at least one social networking site and the average Internet user maintaining 7.6 different social media accounts, the opportunity to connect with consumers through digital media channels is huge. 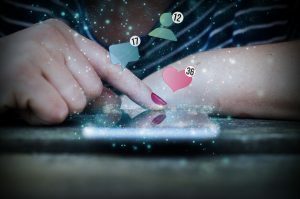 Social media spend is likely to continue to grow at an accelerated pace with marketing spend on social media predicted to double over the next five years. Calculating social media ROI effectively will provide valuable insight into the success of your campaigns. Research also indicates that 22 percent of organizations utilize outside expertise to develop and assess social media efforts. To learn how Junction Creative Solutions (Junction) can partner with you to engage a successful social media marketing campaign, call 678.686.1125. In the days before digital technology and the myriad of social media outlets, one of marketers’ most effective pathways to brand recognition and acceptance was through word of mouth advertising. Consumers have always sought the opinions and advice of those within a social community before deciding to spend money on a product or service that was new, untested or unproven. Seeking recommendations from family and friends has always been at the top of the list when it comes to influencing a purchasing decision. Consumers are looking for assurance that a purchase will be a good and rewarding experience and consistently turn to those individual influencers or trusted media outlets for a “seal of approval.” With the growing impact of social media on our lives, today anyone can be an influencer. Influencer marketing has become a very popular and effective way for advertisers to connect with a target audience. Studies reveal that consumers are becoming annoyed and complacent with traditional online advertising, with 26 percent of desktop and 15 percent of mobile users employing ad blocker software to avoid advertisements altogether. The age-old question, “Is anyone listening to the message?” is being answered. No. With 92 percent of consumers trusting recommendations from individuals before making purchase decisions, influencer marketing is becoming a proven and economical method to connect a brand to target markets. “According to a case study by Nielsen Catalina Solutions and TapInfluence, influencer content generates return on investment (ROI) that is 11 times greater than traditional digital campaigns.” According to recent research, nearly 70 percent of marketers believe that influencer marketing efforts are positively impacting their ability to reach each target audience. This success is dependent on an influencer being able to reach large segments of social media users with original content that builds consumer trust. Authenticity is a key factor in building this trust and confidence. Original and creative content keeps followers, who are looking for trusted product information and reviews, actively engaged. 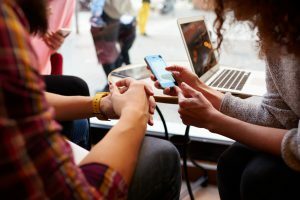 With 88 percent of consumers trusting online peer reviews over traditional advertising, influencer marketing is a necessary and important channel for businesses seeking to connect with targeted consumers. “Content is king in today’s digital ecosystem,” says Julie Gareleck, Founder and CEO of Junction Creative Solutions. “An effective and creative content strategy adds significant value to your marketing campaigns. Our content and marketing strategists have the expertise necessary to develop successful marketing campaigns that build influence and establish trust with consumers.” For more about how you can positively impact your ability to deliver an effective message to your target audience, contact the marketing experts at Junction Creative Solutions at 678.686.1125. With charitable giving expected to grow by 3.8 percent, 2018 should be a promising year for the nonprofit sector. Marketing and fundraising are critical for organizations hoping to take advantage of this potential growth by leveraging technology to reach goals. Just as important are solutions and technology that connect all constituents (donors, volunteers, and advocates) and keep them engaged in a shared mission. A logical conduit is an organization’s website. And increase donations and improve donor relations. To increase engagement with all groups who access a common website, navigation and content must be well planned and executed. Information should be easy to find. Messages should be tailored for different audiences. For example, potential volunteers will require different information than a local business owner interested in sponsoring an event. Separate entry portals can be created for program participants and Board members, adding an additional level of privacy and security. Social media integration expands the website’s reach exponentially with the number of social network users expected to grow to 2.44 billion worldwide in 2018, according to Statista. 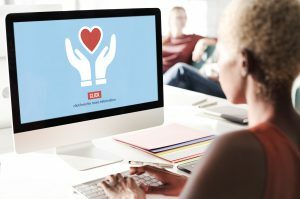 Communicating the mission of a charity to potential donors in a way that elicits a desired response can be difficult for even a seasoned fundraising professional. Technology helps deliver complex messages more clearly by consolidating them into shareable quotes and links placed within the website. Other digital solutions such as videos and live podcasts can also be effective in reaching new supporters. Making a donation to a cause should be easy and convenient. Charitable givers represent each generational age group and should be accommodated equally. More than a fifth of Millennials have never written a check and more than half of Gen Xs and Baby Boomers prefer to give solely through an organization’s website. Credit card processing systems streamline this process making it possible for people to give more and give remotely. If your organization is looking for innovative solutions to improve engagement, increase giving opportunities, and engage members, contact us to learn more about our packaged solution at info@junction-creative.com.